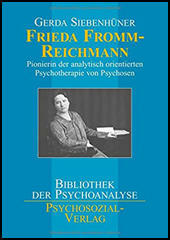 Frieda Fromm-Reichmann was a pioneering psychoanalyst who spent the major portion of her professional life treating psychotic patients. Born in Germany, she escaped the Hitler Anschluss in 1935 and became a staff member at the Chestnut Lodge Hospital in Maryland where she wrote and treated patients until retirement. Although schooled in all of Sigmund Freud's psychoanalytic treatment precepts, she went beyond these to treat types of patients that Freud himself and most other psychoanalysts or mental health practitioners considered untreatable, primarily those suffering from severe breaks with reality - schizophrenia, manic-depressive bipolar disorder, and patients with psychotic depression. To do this, she used many daring and effective methods such as entering into the figurative and symptomatic world of the patient, treating symptoms as metaphors and smoke screens for underlying conflict and guilt, always focusing on and presenting reality and, both beneath and combined with all these, employing broad empathy, flexibility, courage, and special understanding. One instance she has described concerns a professional male patient who had nightly grave and disturbing persecutory delusions, reported by the nurses, of people of various nationalities pursuing him during the night. Trying to escape, he pleaded with each of his persecutors in the person's own language. On the following day, he was in rational contact and could provide no opportunity for discussing the delusions because he could not remember them. After many futile therapeutic attempts, Fromm-Reichmann decided to ask the nurses to awaken her at night at a time when his delusions were apparent. They did so, and she came to the ward to watch him as he climbed from one piece of furniture to another indicating he was running from his persecutors and pleading with them in English, French, German, and Hebrew. She followed him and, also speaking sequentially in each one of the languages, she reassured him that she could not see the persecutors but would try to protect him against them. Then, after 15 or 20 minutes, he quieted down and went to sleep. During the subsequent days she met with him and reminded him of their nocturnal experience several times, ultimately breaking through his denied recall and enabling the beginning of a successful interpretative psychotherapy. After the Nazi takeover in 1933, Fromm-Reichmann left Germany for Strassburg in Alsace-Lorraine. After brief stays in France and Palestine, she immigrated to the United States in 1935. 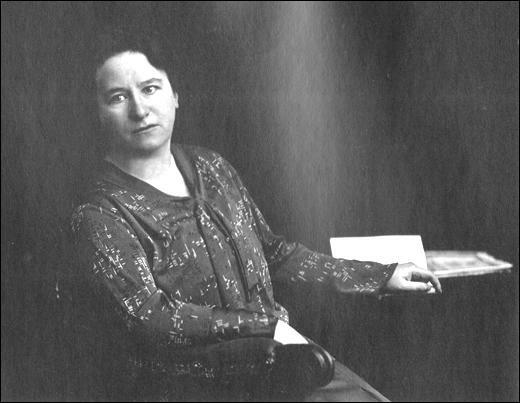 She quickly found a position as resident psychiatrist at Chestnut Lodge, a private sanitarium near Washington, D.C. She developed a very productive working relationship with Harry Stack Sullivan and served as training analyst of the Washington Psychoanalytic Society and the Washington School of Psychiatry, as well as the William Alanson White Institute and the Academy of Psychoanalysis in New York. In 1955, she received a fellowship to study the role of nonverbal communication in therapy at the Center for Advanced Study in the Behavioral Sciences at Stanford University. 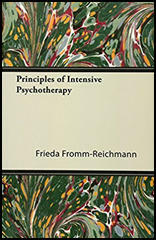 Fromm-Reichmann succeeded in using intensive psychotherapy to treat schizophrenic and manic-depressive patients who had previously been considered unsuitable for psychoanalysis. She fostered their creative talents and developed fresh insights into the relationship between art and mental illness. A highly gifted clinician and outstanding teacher, she shared her discoveries with large audiences through her popular lectures. Toward the end of her life, she received international recognition for her contributions to psychotherapy. 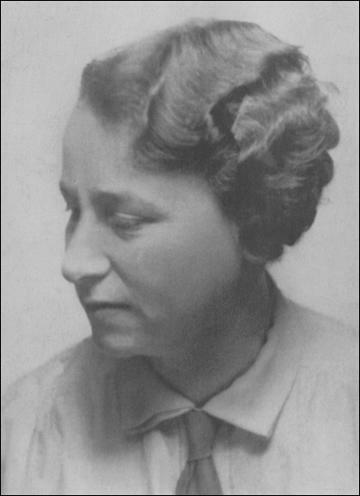 Her honors and awards include president of the Washington Psychoanalytic Association (1939–1941); Adolf Meyer Award, Association for the Improvement of Mental Hospitals (1952); academic lecture, American Psychiatric Association (1955); and keynote speaker, Second International Congress of Psychiatry, Zurich (1957, posthumous). Suffering from deafness, she kept her unhappiness to herself, while always attempting to cheer and comfort others. 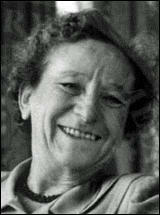 She died of a heart attack at Chestnut Lodge on April 28, 1957, deeply mourned by all who knew her.